Consider this chiffon long prom dress if you are looking for a romantic look for prom 2019. 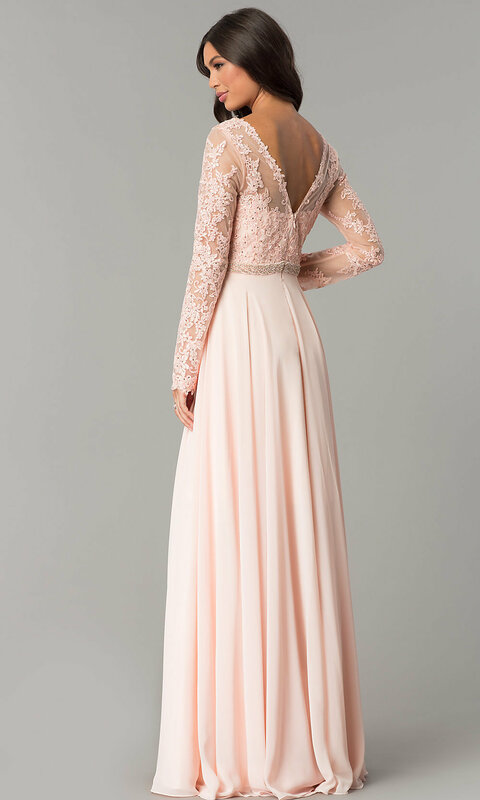 Cut in a figure-flattering a-line silhouette, this formal dress features a bateau neckline and a deep v-back. 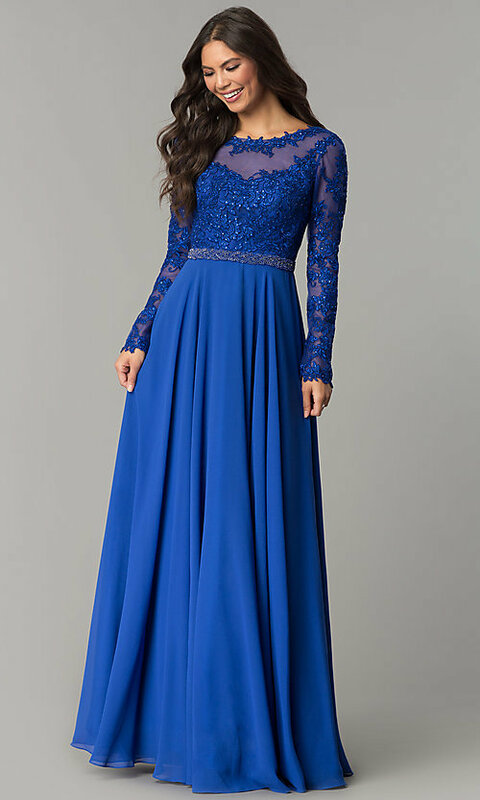 Bead-accented embroidered appliques cover the long-sleeved illusion bodice of this charming prom dress. 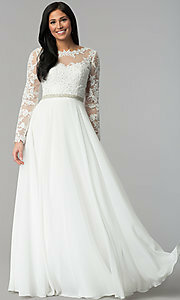 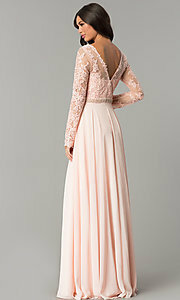 The long skirt begins at the beaded banded waist and ends in a floor-length rolled hem. 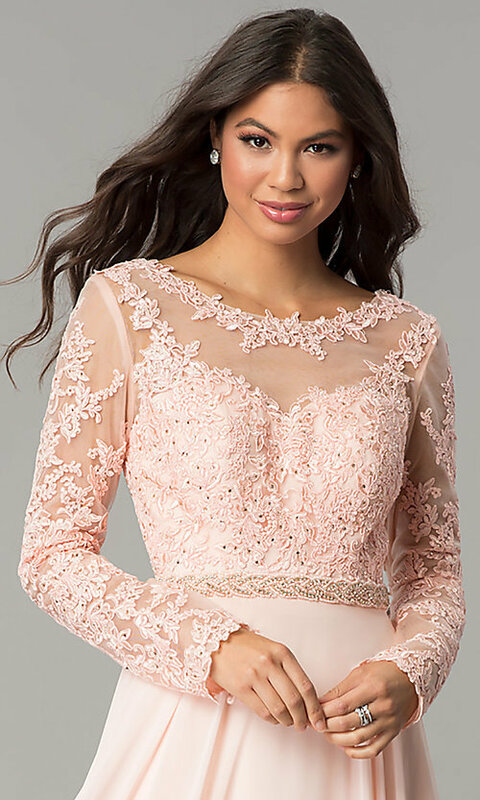 Priced at under $200, and offered in misses and plus-sizes, this delightful long embroidered-bodice chiffon prom dress is sure to please.